America’s second largest carrier filed a request with the FCC to buy spectrum from Broadband Wireless Unlimited, LLC. In a public notice released today by the FCC, AT&T is seeking to acquire nine Lower 700MHz Band B Block licenses from Broadband Unlimited. AT&T intends to use the spectrum to increase its LTE capacity across nine markets (Cellular Market Areas or CMAs) in Georgia, Illinois, Louisiana Massachusetts, New York, Tennessee, Texas and Virginia. The notice does not state which specific markets are within these licensed areas. In all, AT&T would hold 70-125MHz of spectrum in those markets. It looks as though the FCC is ready to give this transaction the green light unless “petitions to deny” are submitted by November 14th. Since AT&T had to give up spectrum and cash to T-Mobile USA after its failed merger attempt, this spectrum will certainly help the carrier expand its footprint as it rolls out LTE services. Assuming the deal goes through, hopefully that means better service for AT&Ts customers in the near-term. In my experience AT&T works better in most areas. 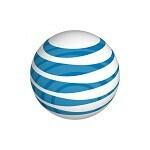 I miss my At&t and I am will be happy to go back. Sprint is the worst service ever. AT&T's problem is that they have not fully unified the companies' systems from acquisitions and between DSL/phone, Uverse and wireless. A lot of miscommunication still goes on there. Plus, now they try to sell Uverse to wireless customers - very annoying. They do work well, along with Verizon here in Cali.